Stuck for things to do in August? From fun-packed festivals to colourful carnivals, here’s our round-up of slammin’ summer dates to add into your iCal, stat. Sunny days, here we come! 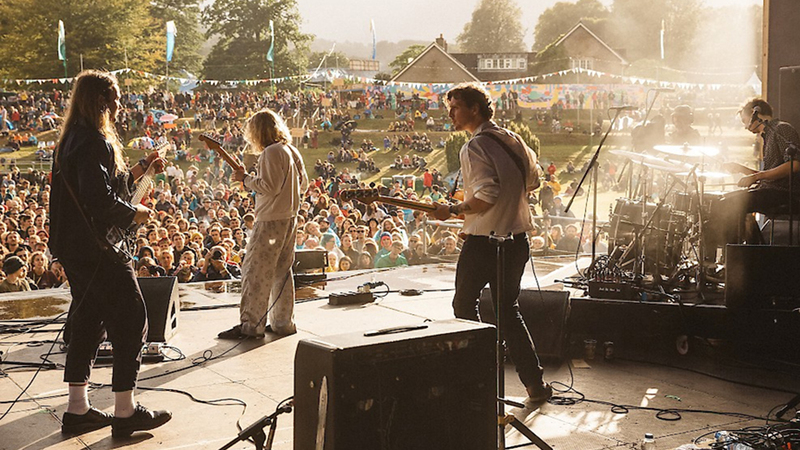 Green Man Festival is the ultimate summer event for festi-fans, with over 100 indie and alt-music acts, theatre, comedy, lifestyle and yoga experiences, all set against the Intsa-worthy backdrop of the Brecon Beacons. Featuring performances by PJ Harvey, Ryan Adams, Future Islands, The Shins and Kate Tempest (to name but a few! ), the four-day event also lets music-lovers go back to nature with dreamy campsite set-ups – hot showers included! Tickets are available from £157.50 for 17-20th August. The biggest Pride festival in the UK, Brighton Pride makes its annual return to celebrate the LGBT+ community and its supporters with colourful parades and costumes, parties, cabarets and live music from the likes of the Pet Shop Boys, Years & Years and loads more. 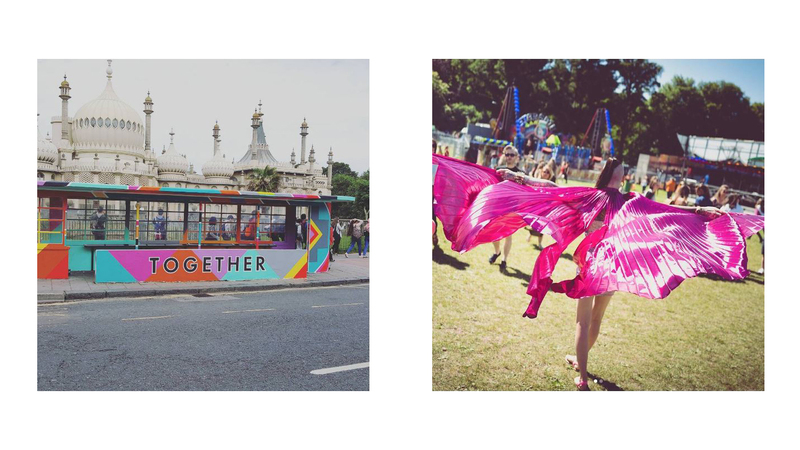 Promoting equality and diversity, the three-day event will see thousands of party-goers heading to Brighton’s streets for a weekend of love and mega LOLs. Tickets are available now for 4-6th August. 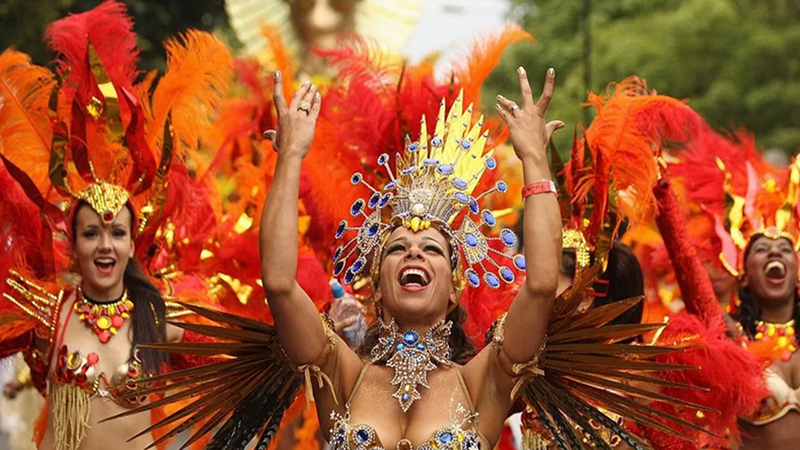 Notting Hill Carnival, the biggest street festival in Europe, is back for another year, filling the streets of west London with vibrant Caribbean culture, music and street food flavours. Taking place on August bank holiday weekend (26-28th August), the three-day extravaganza features colourful costumed performers, street parades, steel bands, DJs, dancing, after-parties and loads more. The carnival is completely free, with celebrations spread out over Notting Hill, Ladbroke Grove and Westbourne Park. Hold the phone – there’s an actual real-life bouncy castle for grown-ups, and it’s coming Alexandra Palace this August. 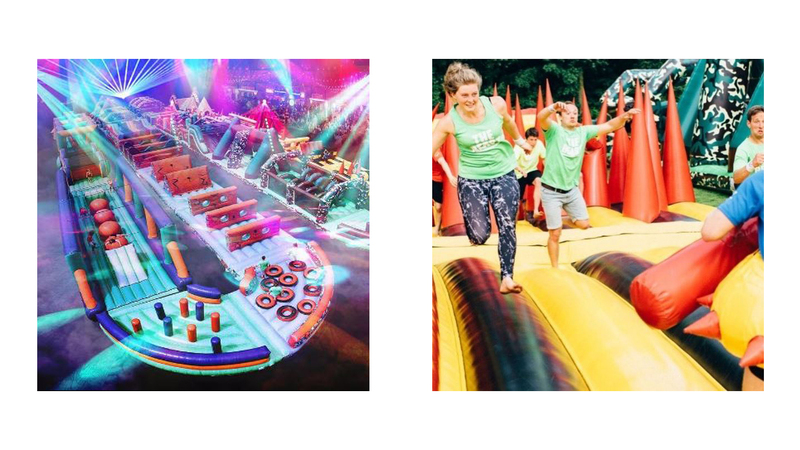 Yep, the 893ft-long inflatable – aka The Beast – is made up of 32 parts and is longer than two football pitches, making it the world’s biggest blow-up obstacle course. Once you’re done bouncing around, sit back and refuel with street food, cocktails and Prosecco on tap – we’re so there. Tickets are available now for £22 per person, with the event taking place between 26-28th August. Calling all Prince and Ziggy Stardust fans! 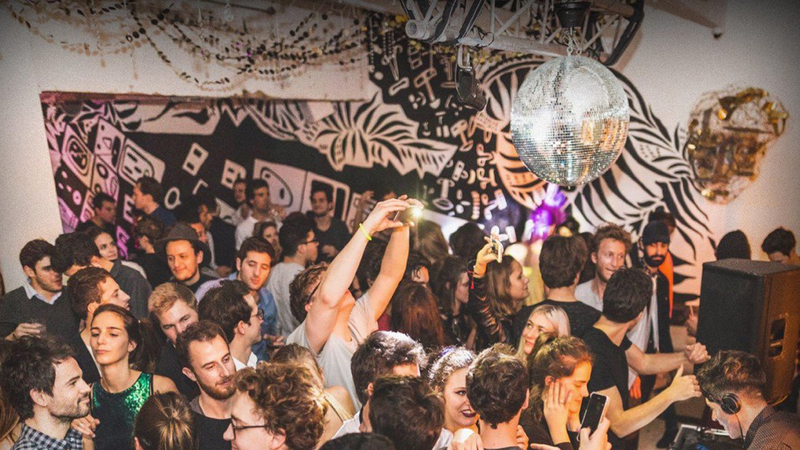 Held at the NYC-style loft space at Shoreditch Platform on Friday 4th August, Prince vs Bowie: Legends Night pays tribute to the two kings of pop for a glittering night of back-to-back classics, dancefloor hits and singalongs from yesteryear. Tickets start from £3 – say what?! Which Pool Inflatable Are You?